Mia Couto photographed by Shevaun Williams, October 2014. The Mia Couto short-story collection I’m currently translating, entitled Estórias Abensonhadas (working title: Selected Stories), was published shortly after the end of Mozambique’s sixteen-year civil war, which began in 1976. As the book opens, the author notes, “After the war, I thought, there remained only ashes. . . . Everything full of weight, definitive and without repair.” These stories, Couto has said, represent the seed that remained protected in a place the violence could not reach, the place where “every man is the same: pretending he’s here, dreaming of going away, and plotting his return.” The collection’s ensuing stories grapple with a legacy of colonialism and civil war at the same time they seek to express the vibrant multiculturalism of Mozambique. As I write this, I sit on a stretch of coastline between the cities of São Paulo and Rio de Janeiro: a reality far from Mozambique, but close to Mia Couto. Each morning I wake amidst the songs of great kiskadees and green-headed tanagers outside the window of my modest beach apartment, vibrant red Flamboyant trees, and the soft whisper of the sea to a country ill at ease with itself despite all it has accomplished over the last fifteen years. A country that speaks a variety of Portuguese that has every bit the acculturating power of English and that has, as Couto himself has noted, served as a sort of model for Mozambique since the African country’s independence from Portugal some forty years ago: a model for its ability to take a language imposed by colonialism and inflect it with vocabulary from various African, Amerindian, Asian, and European languages. Though the historical processes of Brazil and Mozambique have more differences than commonalities, the permutations in the national language and national identity in both countries are crucial to Couto’s work. His fiction is closely tied to a national project begun by post-independence governments in Mozambique that aims to accomplish for the country what Brazil has constructed since its independence from Portugal in the nineteenth century: a language that represents not the impositions of colonial rule but the reconfiguration of an imposed national language into a truly Mozambican form of expression. By tweaking standard Portuguese syntax and inventing a lexicon for Mozambican Portuguese that borrows from forty-plus indigenous languages and reconfigures existing words for new uses, Couto recontextualizes Mozambican history and identity, giving Mozambicans ownership over their history and their reality. This use of indigenous languages is reinforced by Couto’s coining of neologisms that recast Portuguese into a disruptive force. Given the intricate layering of Couto’s text, my task as translator is often that of invention. All of the writer’s work is laden with a poetic prose, a personal syntax, and an enormous helping of invented words. This compels the translator to take these compound neologisms (one example being exactamesmo, or “exactruly,” formed by the words exactamente—“exactly”—and mesmo—“really,” “truly,” or even “exactly”) and invent English equivalents; to complicate matters, cadence and sound take on an importance more commonly reserved for poetry. Depicting a world in which plants, like animals, have spirits, Couto recasts nature; in recasting nature, Couto recasts our most basic conclusions about the world. In re-creating Couto’s reality, the translator is also faced with zoomorphic depictions of the world. In one short story from Estórias Abensonhadas, the leaves of a medicinal plant needed to save a dying young girl take on animal characteristics when a medicine woman explains that the medicinal leaves “butterflied away (borboletaram por aí)” to describe the disappearing plants. Depicting a world in which plants, like animals, have spirits, Couto recasts nature; in recasting nature, Couto recasts our most basic conclusions about the world. Though his work is often lumped together with magical realists like García Márquez, Couto disavows the term. It may not be magic realism, but Couto’s world does indeed challenge our boundaries of what is real and, in the process, lays bare the limits of our knowledge. Couto depicts a world in which people “unhear” each other and have “dis-misunderstandings,” where coconuts bleed and wail, where plants don’t disappear but take on animal form and fly away, a world in which our senses, on whose advice we so frequently arrive at absolutely certainty, expose us to unfamiliar experiences that are no less real than our everyday routines but which we’ve been taught are irrational and not to be trusted. As one character says in the short story “The Waters of Time,” this experience is one of rendering ourselves “disordered,” of interrogating our beliefs and disrupting the narratives we’ve been taught to believe about our own societies and about Africa. The translation of Couto’s work similarly pushes the boundaries of English, with its logical and scientific language, and provides the means through which to reassess the historical narratives of anglophone countries as well. The translation of Couto’s work creates a new lexicon for English-language audiences to engage Mozambique. The jolt of invented language and subversion of traditional meanings requires the reader to pay close attention to the language itself and to consider its alternative ways of describing the world and the inapplicability of common Western modes of thinking to understanding both historical and contemporary Africa. My great satisfaction in translating this collection is not simply to propose a different way of looking at our own familiar world, but to participate in Couto’s proposal to see a different world altogether. Eric M. B. Becker is an award-winning writer, translator, and journalist from St. Paul, Minnesota. 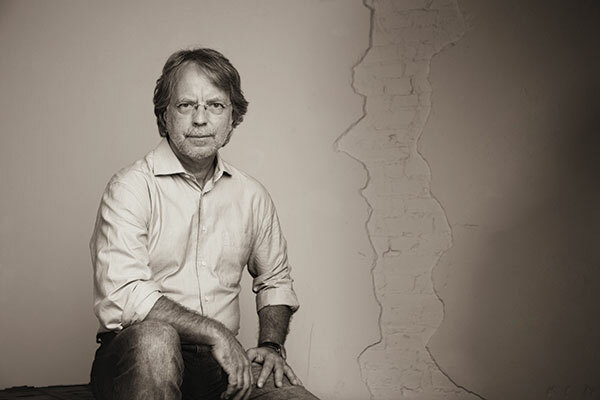 He has recently published translations of Brazilian writers Edival Lourenço, Eric Nepomuceno, and Carlos Drummond de Andrade, as well as 2014 Neustadt Prize winner Mia Couto, in the Massachusetts Review, MobyLives, and the PEN America Blog. In 2014 he was a Louis Armstrong House Museum resident and received a PEN/Heim Translation Fund Grant for his translation of the Couto short-story collection Estórias Abensonhadas. He also serves as assistant managing editor at Asymptote.